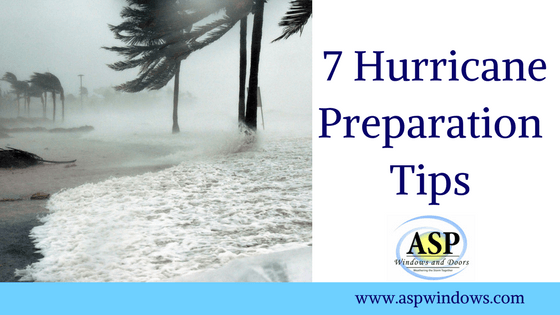 are 7 hurricane preparation tips you should know. danger, so the decision to evacuate could mean the difference between life and death. purchase canned tuna, dried fruits, soft drinks, and any other non-perishable food items. You should also have one gallon of water per person ready before the storm. essential non-prescription medication as well such as pain relievers and antacids. antibacterial ointments in case you get injured during or after the storm. shatter your windows. Prepare your home by installing impact windows and doors. tools. This will avoid them from flying off during the storm and potentially hurting others. driver’s license and credit cards to keep in there. the storm hits and have backup portable chargers in case the electricity goes off.